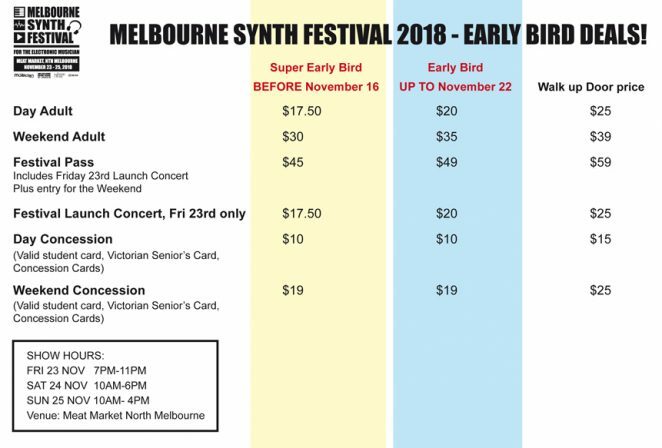 MELBOURNE SYNTH FEST FULL PROGRAM OUT NOW! 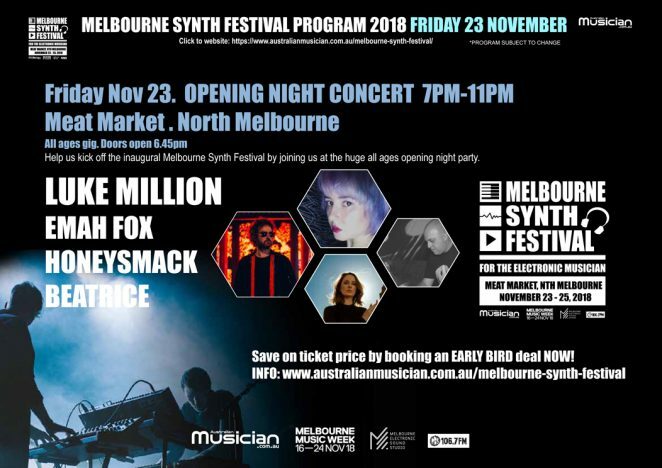 The Melbourne Synth Festival is Australia’s premier event dedicated to all things in the world of synthesisers, DJ equipment and electronic music making. 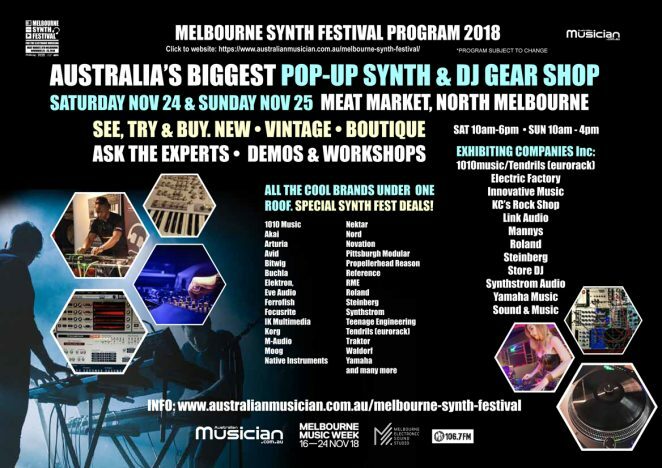 See, try and buy the latest in music technology. 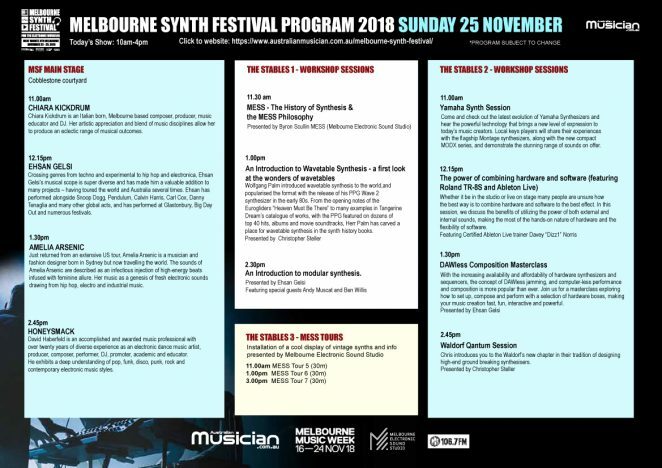 Complete the experience with workshops and seminars and live performances from Melbourne’s cutting edge scene. The Melbourne Synth Festival allows for a fully engaging experience for the electronic musician, DJ and producer.